Leeds have a bright future. While the senior side is on the brink of a return to the Premier League (three wins and a draw from the last four games will see them promoted), the Under-23s have already clinched the PDL North title and finished the league with a 2-2 draw against Crystal Palace on Monday afternoon. That sets up a likely national play-off semi-final against Coventry – Palace would need to beat Watford by five goals on Thursday to make it in their place – and Leeds U23s play the semi-final of the Premier League cup against Newcastle next Tuesday. There’s plenty of talent in the side but there’s one name that keeps popping up at the moment, and he scored the first goal of the game today. 17-year-old striker Ryan Edmondson might consider himself unlucky not to have made the leap up like his Under-23s counterpart Jack Clarke – although he did make the first-team bench four times earlier in the season and came on for a cameo appearance in the 2-1 defeat against Birmingham earlier in the season. Today’s strike was his 18th of the season across all competitions and he’s looking like a real talent. So much so that manager Marcelo Bielsa was moved to say that the only reason he hasn’t made the leap up yet is because of the quality of his senior attacking players. “He’s a very young player,” said Bielsa last week. “In this moment in his position players like [Kemar] Roofe, [Patrick] Bamford, Tyler Roberts have played. 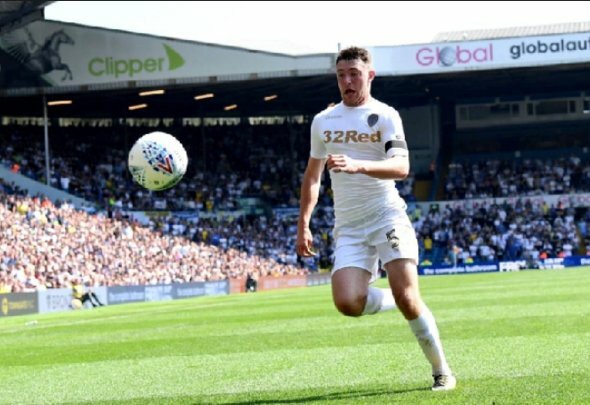 If Leeds do win promotion to the Premier league it will be interesting to see if the youngsters get a chance or whether they have to go out on loan to get experience. But Bielsa has shown that he’s not afraid to play youngsters if he thinks they’re good enough. And, with Edmondson on the senior manager’s radar, the future is looking good. Fans have been calling for him to get his chance in the senior side and, if he keeps scoring, the clamour is only going to get louder.